Friday Financial Tidbit-Where you work impacts your finances | JW's Financial Coaching-Giving you a new perspective on your money! ← Getting Debt Free is not the end, only the beginning! Did you know that where you work impacts your finances? You might have never thought about it before, but how much you enjoy your work often determines how well you handle your money. If you hate your job and dread going into the office on Monday mornings, chances are that your work will impact other areas of your life as well. You probably will not be the best spouse you can be, the best parent you can be, and your faith will probably suffer as well. It will also impact how well you handle your money and you will be more likely not to pay attention to your money, overspend and get into debt. However, if you are working at a job you love and are passionate about, you will be more productive at work and be more fun to have around the home. When that happens, don’t you think you are more likely to earn more money over time? I think so. If you are a working at a job you do not particularly enjoy, why are you still there? By continuing to stay there you are impacting your current and future financial situations. If you need help finding a career that inspires you every day I recommend two books. The first is 48 Days to the Work You Love by Dan Miller and the second is Quitter by Jon Acuff. Both of those books have helped me find my calling, which in turn has impacted my quality of life as well as my wallet. How important has finding work that you love been to your finances? Friday Financial Tidbit-The Key to handling money in marriage is communication! 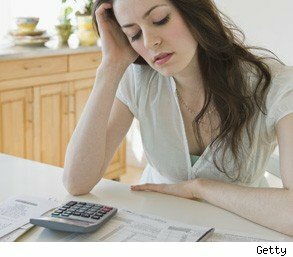 This entry was posted in Friday Financial Tidbit, Spending and tagged career, Work you love. Bookmark the permalink.